A two week holding deposit (not subject to VAT) will be required at the same time as the reference fees and other disbursements mentioned below. This is in order to reserve the property and remove it from our available list. The holding deposit will be deducted from the first months rent due. Should the Tenant withdraw from the proposed letting, through no fault of Loromah Estates, all or a proportion of the 'Holding Deposit' will be retained in order to cover any reasonable costs (which will be outlined in full). None of the Holding Deposit will be retained should the Tenant's withdrawal be the fault of Loromah Estates. These payments are due at the start of the application process once the Tenant’s offer has been verbally agreed on behalf of Loromah Estates and will secure the property for you subject to satisfactory references being received on behalf of all applicable Tenants. No administration fees are charged to the Tenant, when the letting is arranged directly with Loromah Estates. However the Tenant will be liable for all disbursement cost incurred by Loromah Estates. These costs are to be paid at the start of the application. This includes cost of Reference Checking for each Tenant and of guarantor if required. PLEASE NOTE THAT SHOULD A TENANT’S REFERENCE APPLICATION BE UNSUCCESSFUL THEN THE REFERENCE FEE/S ARE NON REFUNDABLE. It is imperative that applicants disclose all relevant facts that may adversely affect their reference outcome, prior to entering into the above. It may save you money. Both Loromah Estates and the Tenant/s will be required to sign a tenancy agreement prior to the tenancy commencing. The agreement outlines both the Tenant and Loromah Estates obligations. Generally, most tenancies run for a period of twelve months, we will contact the Tenant towards the end of the tenancy to see whether the Tenant wishes to renew your agreement for a further period and discuss any rental increase required by Loromah Estates for the renewal period. Once this has been agreed by both parties a new tenancy agreements will be sent to the Tenant/s for signatures. If the return of these documents has to be prompted by Loromah Estates an admin fee of £50 will be added to the rental account. Prior to the commencement of the tenancy. We will issue the Tenant with a sample template agreement which should be read very carefully. Any questions arise regarding this legal document we advise the Tenant to seek independent legal advice. 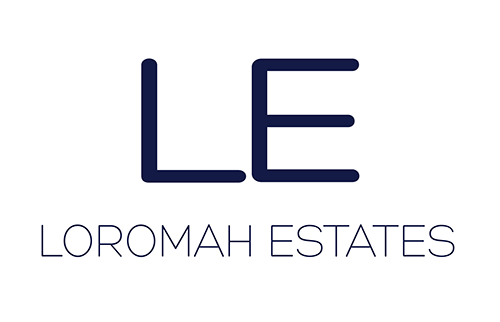 Thereafter Loromah Estates requires payment of the rent on the 1st day of each calendar month, made in one total payment per property. The above funds need to be cleared before the tenancy can commence. Payment by means of either cash or direct transfer into Loromah Estates bank account and showing as cleared. The Six Weeks Deposit will be logged with the My Deposit Scheme and Tenant will be provided with a Deposit Protection Certificate to sign. The condition of the property and its contents at the end of the tenancy are compared back to this inventory. At check out, Loromah Estates will provide an opinion on whether any damage that has arisen during the tenancy is attributable to the Tenants misuse or to ‘fair wear and tear’. Rental payments must always be made by standing order from the Tenants’ bank account to Loromah Estates bank account, in one full monthly amount only. Payable on the 1st day of each calendar month. If Loromah Estates has to chase any late payment a £25 admin charge will be added to the rental account. The responsibility for the property lies with the Tenant during the period of tenancy. Always ensure that the property is fully secured and that during the winter months steps are taken to prevent freezing of the water and heating system. If the Tenant is unsure how to operate anything within the flat that is not covered in the instruction manuals/Tenants guide, please call the office on 0207 837 6202. The Tenant is responsible for all of their personal effects and possessions including possessions stored in any agreed communal areas e.g. bicycles etc. Loromah Estates accepts no responsibility for any loss or damage to Tenants possessions at any time. IT IS IMPORTANT THAT THE TENANT FULLY INSURES ALL HIS/HER POSSESSIONS. The Tenant/s must not place or store any items on the communal landings or staircases, as this is a fire hazard and in breach of the building insurance. It is the Tenants responsibility to inform utility suppliers of their occupation. If the Tenant is unsure who supplies the properties utilities, please telephone the numbers listed below to gain your suppliers details. The Tenant is responsible for payment of council tax. Council tax is payable to the Local Authority. It is the Tenants responsibility to contact the Local Authority Council Tax Department and inform them of their occupation. Students, who may be exempt from council tax payments, must contact the Local Authority in order to gain an exemption. In the case of the Tenants being locked out, under no circumstances, should the Tenant arrange for a Locksmith to change the locks. If this happens the Tenant will be responsible for both the cost of the Locksmith and the further costs of Loromah Estates to reinstate the original locking system. To terminate your tenancy, subject to term, you will normally be required to give us at least one month notice in writing of your intention to leave unless otherwise specified in your tenancy agreement. When your tenancy ends, an inspection of the property will be carried out by Loromah Estates, using the inventory held from check in and an agreement will be reached with the Tenant on any deductions that should be made.